Upgrade your home or business with the best possible plumbing, heating, and cooling with Walk on Water Plumbing and Maintenance of Albuquerque, New Mexico. Our professionals offer complete repairs and renovations that save you time and money. Our associates repair and service all makes and models. We repair and service water heaters, swamp coolers and furnaces. We also do complete water and gas repiping. We can clear any clogged drain line in your home, locate and repair slab and gas leaks. Every service includes a 180-day warranty on craftsmanship and labor only so you always have somewhere to turn. We provide consulting and same-day services, scheduling permitting. 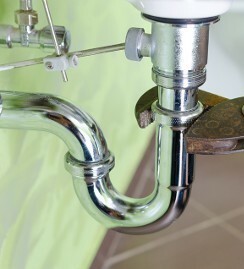 We offer the most competitive plumbing rates per hour! Contact us to enhance your home or business with top-quality plumbing repairs and services.